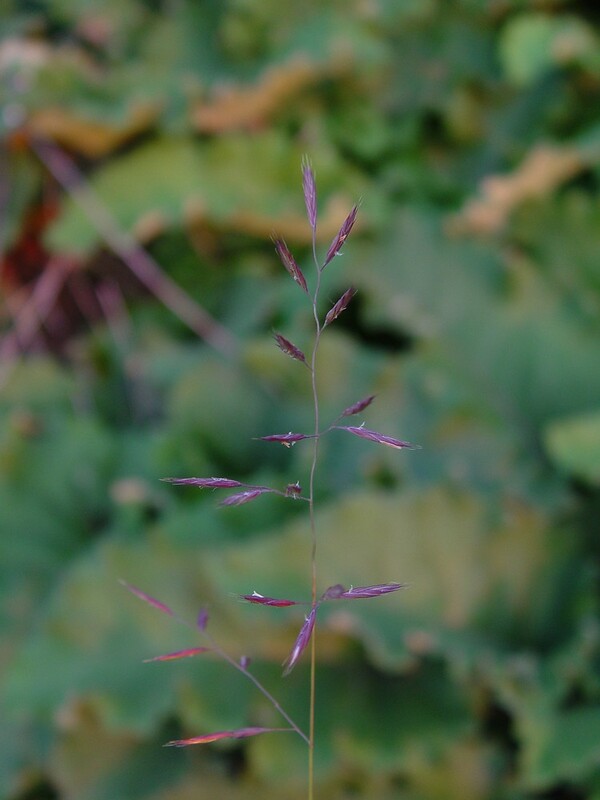 Red fescue is a highly variable species with a circumboreal distribution. 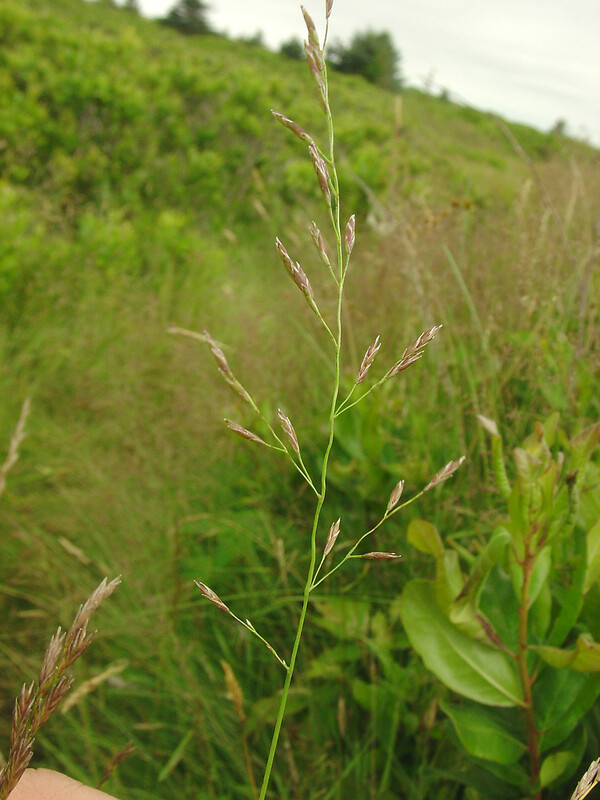 Four subspecies exist in New England, of which only one (Festuca rubra ssp. pruinosa) is native, and restricted to Atlantic coast beaches, headlands, and near-coastal habitats. 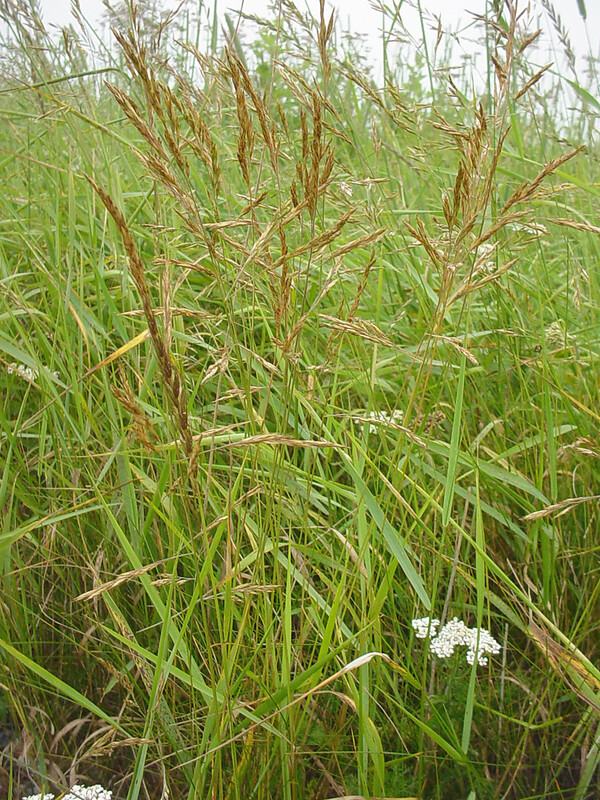 The other subspecies are typically weeds of human-disturbed habitats. Strains of red fescue have been used extensively for rehabilitation of disturbed sites such as mine tailings. 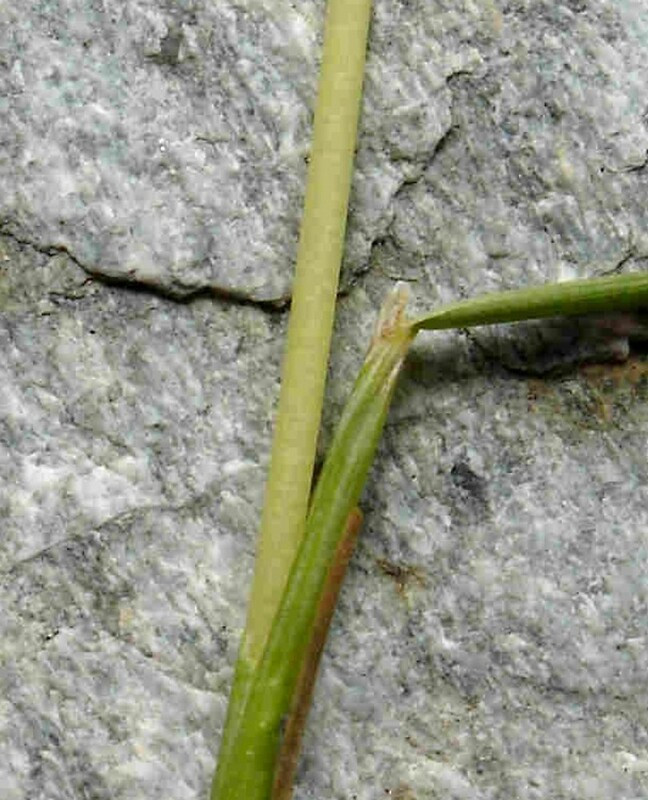 leaf blades 2-7 mm wide, with auricles at summit of the leaf sheath (vs. F. rubra, with leaf blades 0.3-3 mm wide, lacking auricles at the summit of the leaf sheath). 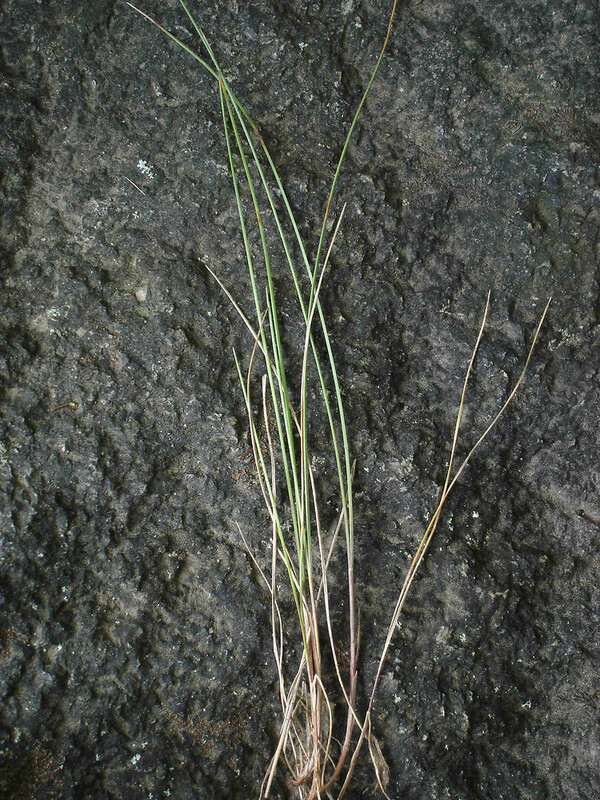 Festuca rubra L. ssp. rubra is known from CT, MA, ME, NH, RI, VT and is non-native.F. rubra ssp. commutata Gaudin is known from CT, MA, ME, NH, RI, VT and is non-native.F. rubra ssp. fallax (Thuill.) Nyman is known from MA, ME, NH, VT and is non-native.F. rubra ssp. pruinosa (Hack.) Piper is known from MA, ME, NH and is native to North America. red fescue. 5a. Festuca diffusa Dumort. ; F. heteromalla Pourret; F. multiflora Hoffmann; F. rubra L. var. multiflora (Hoffmann) Aschers. & Graebn. ; 5b. 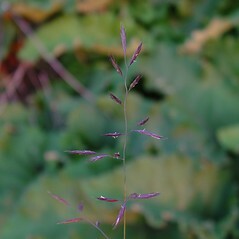 Festuca rubra L. ssp. densiuscula Hack. ex Piper; F. rubra L. ssp. 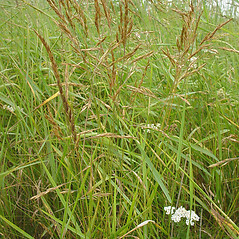 juncea (Hack.) Soó; F. rubra L. var. 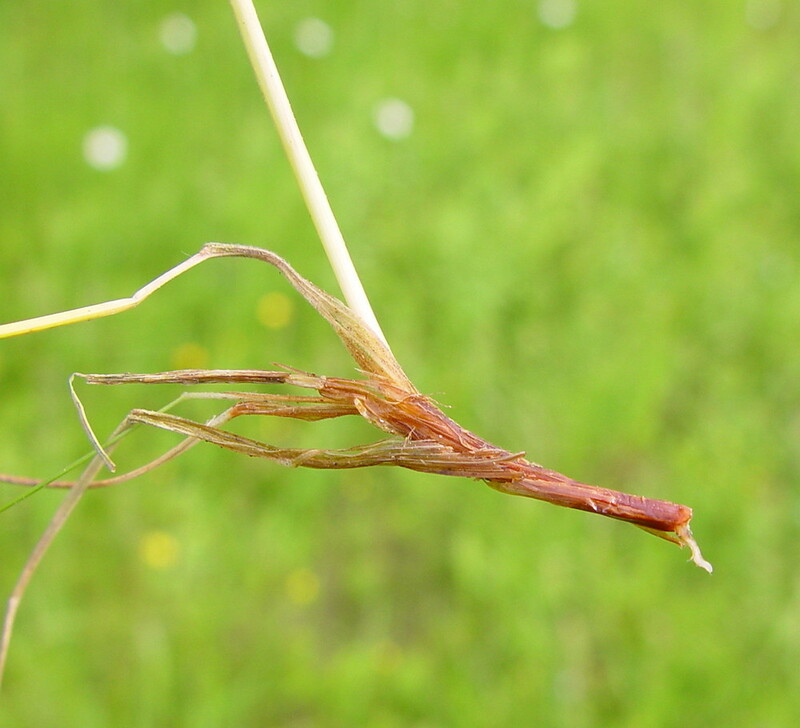 juncea (Hack.) Richter; 5c. 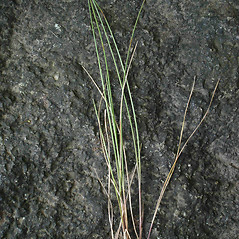 Festuca duriuscula L.; F. ovina L. var. 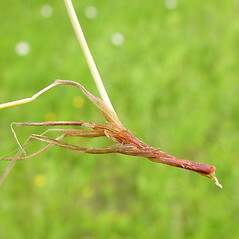 rubra (L.) Sm. ; 5d. 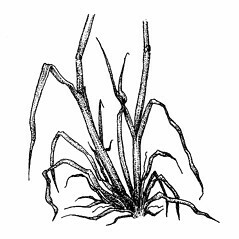 Festuca nigrescens Lam. ; F. rubra L. var. commutata Gaudin • CT, MA, ME, NH, RI, VT. Fields, roadsides, lawns, disturbed soil, coastal beaches and headlands. 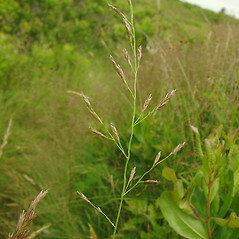 Subspecies fallax is known from MA, ME, NH, VT. Subspecies pruinosa is known from MA, ME, NH, VT. Subspecies rubra is known from CT, MA, ME, NH, RI, VT. Subspecies commutata is known from CT, MA, ME, NH, RI, VT. Festuca rubra ssp. 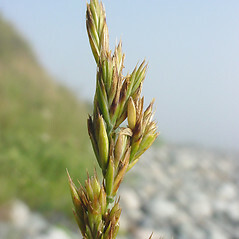 pruinosa represents plants of the F. rubra complex that are native to North America, whereas the other subspecies are non-native. 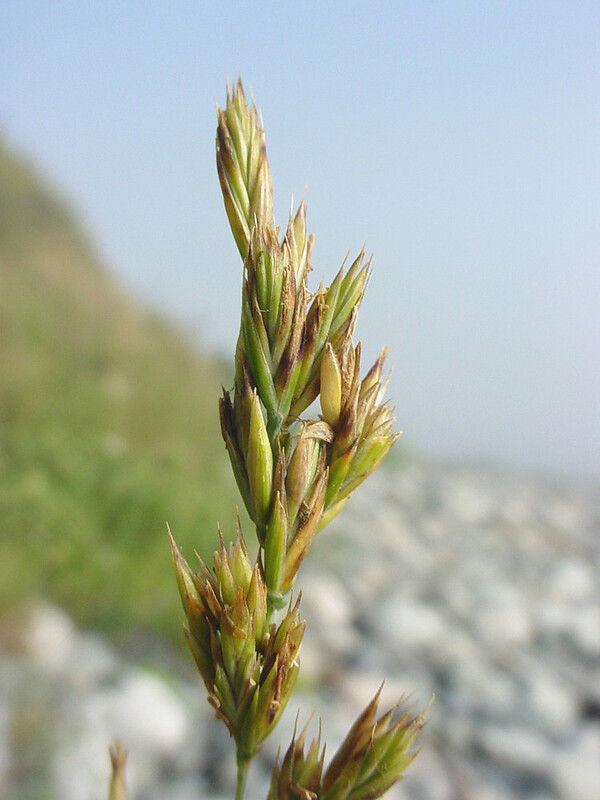 This taxon is found on coastal beaches and headlands (as opposed to more human-modified habitats). 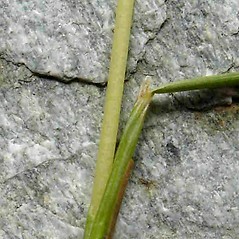 It is a cespitose species with upper glume and lemma measurements comparable to subspecies commutata, except the foliage is different and the anthers are 2.3–3.2 mm long (see key above). Subspecies pruinosa has moderate sized anthers, similar to ssp. rubra; however, it commonly has smaller floral parts compared with ssp. 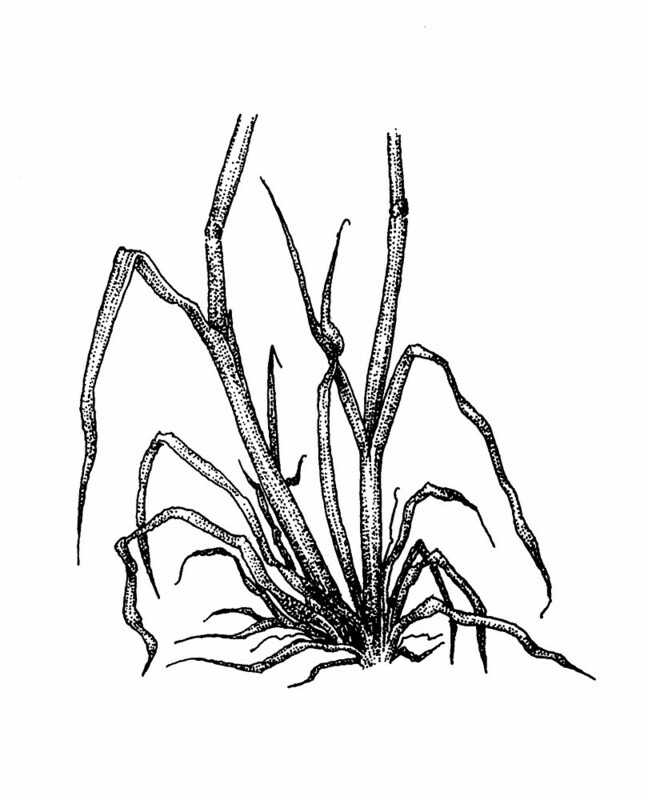 rubra (lower glumes 2.2–3.2 (–4.5) mm long and lemmas 4.5–6 (–6.5) mm long in ssp. pruinosa vs. lower glumes 3–4.5 mm long and lemmas (4–) 6–7.5 (–8) mm long in ssp. rubra).